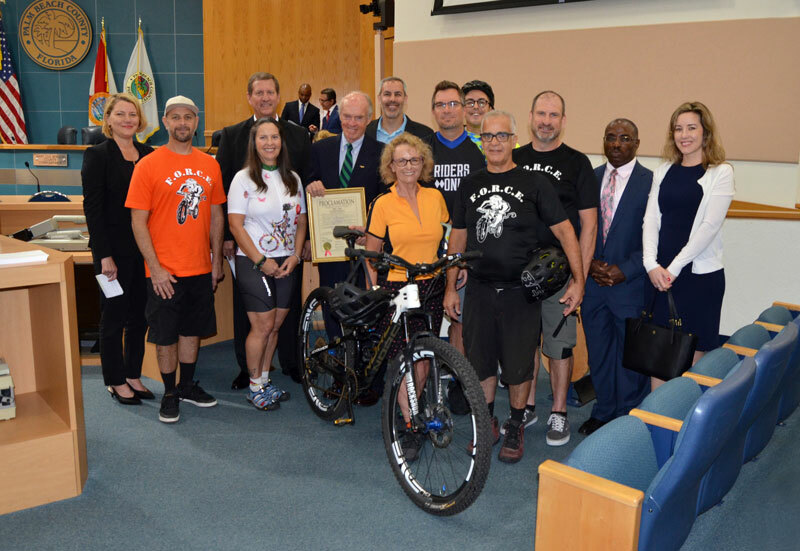 March 12, 2019, Commissioner Hal R. Valeche presented a proclamation declaring March 2019 as Florida Bicycle Month in Palm Beach County. Oct. 2, 2018, Commissioner Hal R. Valeche presented a proclamation declaring October 2018 as Walk to End Alzheimer’s Month in Palm Beach County. 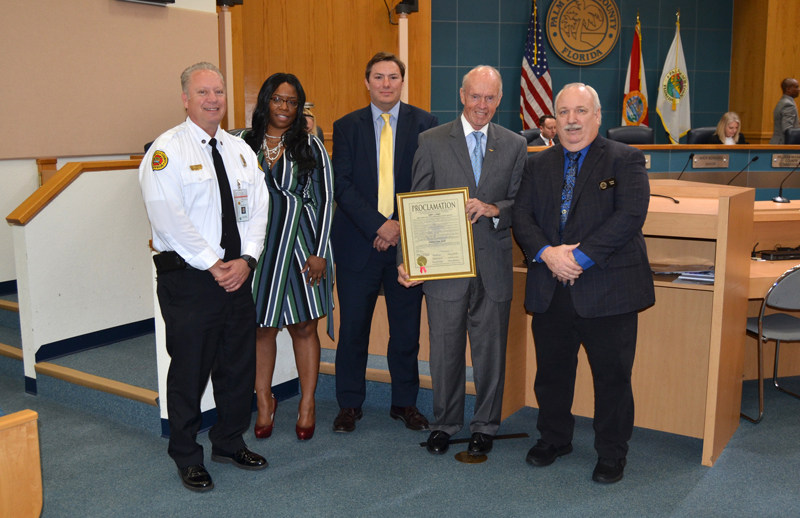 Sept. 18, 2018, Commissioner Hal Valeche presented a proclamation declaring September 23-29, 2018, as Train Safety Awareness Week in Palm Beach County. On May 1, 2018, Commissioner Valeche presented a proclamation declaring May 2018 as Building Safety Month in Palm Beach County. 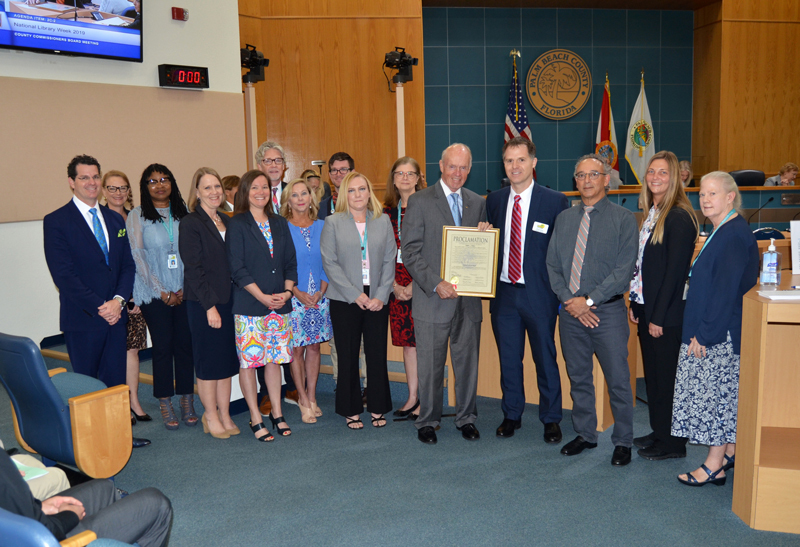 OnMay 1, 2018, Commissioner Valeche presented a proclamation declaring May 2018 as Clean Air Month in Palm Beach County.